TBILISI, DFWatch–Road restrictions on four roads in Georgia remained unchanged Thursday and Friday. In the south of Georgia, the S-11 is closed between Ninotsminda and the border with Armenia due to strong wind and poor visibility. Nearby, the SH-31 is still closed between Nardevani and Rodionovka because of strong wind and poor visibility. In the north, on the S-3 that leads to the Russian border at Larsi, only vehicles with four-wheel drive or snow chains are allowed to drive between Gudauri and Kobi due to snow and ice. Vehicles are not allowed to make stops between Gudauri and Kobi, and the anti-avalanche tunnels must be used. 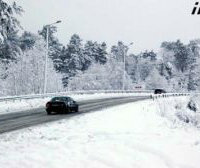 On the SH-7, which connects Zugdidi with villages in the Svaneti mountains, only vehicles with four-wheel drive or that are fitted with snow chains are allowed to drive between Lakhamura and Ushguli due to snow and ice. Between Zugdidi and Lakhamura there are no restrictions.